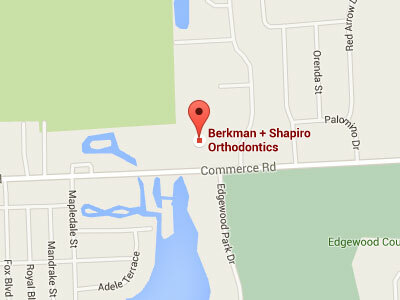 Home/Ortho Blog/Berkman+Shapiro News/Invisalign: Good for Teenagers? The teenage years are a time of intense development in a person’s life; you’re rapidly changing both socially and physically. Often, this rocky confluence can be quite overwhelming, especially when you don’t feel confident about your smile. As your teeth develop, they might not be coming in as straight as you’d like, or maybe you’ve got an over-, under- or crossbite (a malocclusion). At Berkman & Shapiro, we always recommend Invisalign for teenagers with orthodontic problems when possible. We recommend these invisible aligners above traditional braces for a few reasons–let’s go over them in a bit of detail. Middle and high school students are always trying out new things and discovering new skills. This could mean trying out a new position on the basketball court, or learning how to play the flute. Traditional braces can certainly complicate these endeavors. In contact sports, brackets and wires can heighten the risk of minor injuries to the lip and gums. Nobody wants that, right? Also, they can make it notoriously difficult to play certain wind instruments. Invisalign solves this by being completely removable. Whether you’ve got a big game or a recital, you’ll never be held back! One of the most major problems we see when it comes to traditional braces on teenagers is oral hygiene. Brackets and wires can make it difficult to maneuver your toothbrush’s bristles around, and you’ll often get food particles stuck in hard-to-reach places. Flossing can be another problem, as wires make it difficult to be very thorough. That leads to bad breath, staining, and even tooth decay if you’re not careful. As with playing sports and instruments, Invisalign aligners’ advantage here is removability. When it’s time to brush, you just pop the aligners out, get a good clean, and put them back on. Because the aligners are clear and thin, a quick look in the mirror will ensure that you’ve got no food particles left over from dinner. 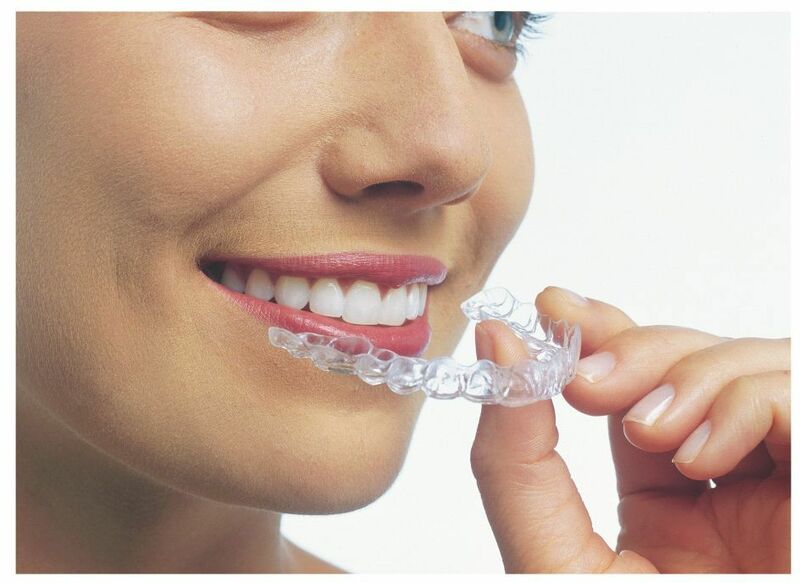 Invisalign aligners are less than a millimeter thick, which means you’ll probably forget that you’ve even got them on. The thinness is great because you avoid the rubbing and chafing that can occur with traditional metal braces. With anything you’re wearing for 20 to 22 hours per day, you’ll want them to be discreet and friendly to your body. Your lips and gums will thank you! Invisalign aligners are made of stain-resistant, medical grade polymer, so as long as you’re careful to brush your teeth after meals, you won’t have to worry. They’ll always stay invisible. We’ve all seen the drastic improvements to a smile that traditional braces can provide. By following your orthodontist’s instructions and sticking to your maintenance and oral health routines, you’ll uncover a satisfyingly aligned row of teeth. What if you could get these results without the hassles associated with metal braces? That’s exactly what Invisalign strives to answer. When used correctly in appropriate cases, Invisalign is as effective as traditional braces. Applicable cases include crooked or crowded teeth, and mild to moderate malocclusions. Those are the vast majority of cases we see at Berkman & Shapiro. Outside of a patient’s physical health, self-confidence is our primary concern when providing treatment. Particularly in teenagers, this is incredibly important. It’s not just about fitting in, but instead, it’s about evolving a self-image that you’re comfortable with. Your smile’s a huge part of that; it’s not something you want to hide when it’s time to smile and laugh. Misaligned teeth and malocclusions can certainly affect your self-confidence, but so can the traditional braces that are meant to solve them. Invisalign offers a solution that allows a patient to show off his or her results sooner–teeth are never hidden behind wires and brackets. The path to a pleasant smile begins with a free consultation with a trusted orthodontic professional. During your first exam, we’ll get to know your unique situation and begin developing a customized treatment plan. We’ll take your input into consideration when deciding together on the best course of action. If the benefits of the Invisalign system are important to you, we’ll explore that path in detail. If you would like to learn more about Invisalign, or if you just have general orthodontic questions, we’d be happy to talk with you in our state-of-the-art facility. Schedule your free consultation or give our Commerce, Michigan office a call at 248.360.7878. We hope to see you soon!